If you are building an RGB gaming PC or Enthusiast PC with all RGB stuff such as RGB CPU Cooler, RGB RAM, RGB Case, RGB Fans then adding RGB LED Strips can make this PC more appealing, attractive and fancier with extra lighting and effects. RGB LED Strips is a must have accessory who want to showcase their PC case in style. These RGB LED strips can be controlled using the motherboard RGB software or using a separate RGB controller. Most of the good RGB LED strips come with built-in magnets, which makes them super easy to install and remove. You can also sync them to your other RGB devices and components, so that they look in order and makes the whole lighting look much attractive and breathtaking. There are two types of RGB LED Strips, Addressable and Non-Addressable RGB LED strips. The Addressable RGB LED Strip uses 3-pin ARGB connector with ARGB LEDs that work on 5V. Here each individual LEDs can be lit independently or can display different color irrespective of others, and thus can create much more complex, fancy and beautiful lighting effects that include rainbow, animation etc. On the other hand, Non-Addressable RGB LED strip consists of regular RGB LEDs and the whole array of RGB LEDs or strip can display one color at a time. It uses 4-pin RGB connector and works on 12V. It can display regular or standard effects like static colors, color transition, breathing, pulse etc. There are many Chinese and unbranded RGB LED Strips available in the market, and most of them are of substandard quality. 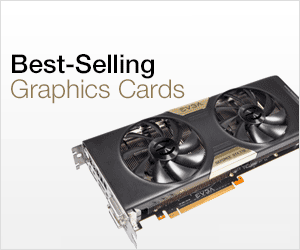 Generally, they do not play well with your motherboard and may not support the popular RGB softwares. Also, they have a high chance of failure and can go bad anytime. This will cause you to lose your hard earned money, and it is generally a bad idea to invest in such cheap products. So, if you want a reliable and durable RGB LED Strips then it is better to go for branded ones. They may cost a little extra, but you will get a better product that is backed by higher warranty. So, here in this post I am going to list down the best RGB LED Strips that you can buy to lighten up your gaming computer case. Important Note: RGB and ARGB LEDs strips are not compatible with each other headers or connectors. 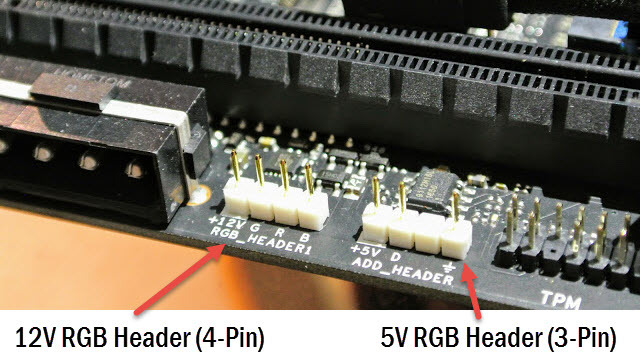 This means you cannot use a 12V RGB LED strip on 3-pin RGB header (5V), and an ARGB LED Strip on a 4-pin 12V header, and if you do so, then you might end up damaging your motherboard RGB header / connector or the RGB LED Strip itself. So, always use proper header or connector that a particular type of RGB LED Strip supports. If you don’t have RGB headers on your motherboard then you can buy an RGB LED Controller that you can attach inside the case using double sided tape, velcro or using a glue gun. Here are the best RGB LED Strips from reputed brands. You can use these RGB LED Strips in your PC case, and can change the lighting effects using the supported RGB softwares or controller. The first RGB LED Strip we have here is Cooler Master Universal RGB LED Strip. It is more of an RGB LED bar because it is thick, non-flexible and it looks like a bar too. The RGB LED Strip is 400mm long, and comes with a white translucent Acrylic material at front that diffuses the light and creates even and uniform RGB lighting. For installation, it comes with pretty strong magnets at the back that attaches itself to the computer case. I recommend it to place under the top panel, where it can remain hidden and light up the whole case. Due to its solid bar like design, you cannot use it around corners because you cannot bend it to your liking. 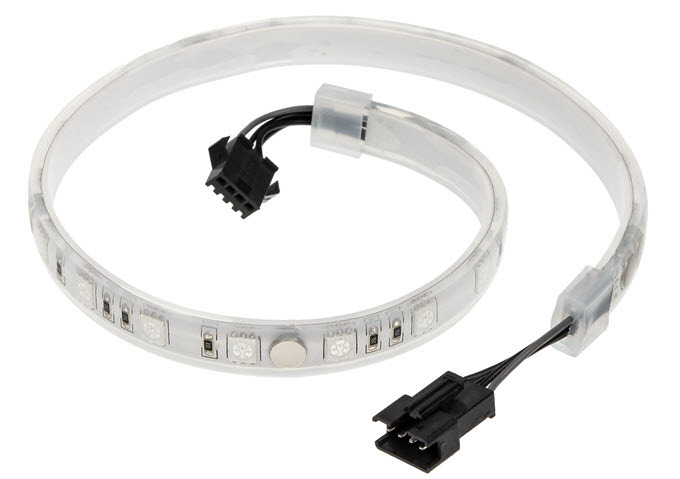 This is a 12V RGB LED strip that comes with a 4-pin RGB connector and can be used directly on any motherboard with 4-pin RGB header or with an RGB LED controller. The LEDs are bright, and it lights up the whole PC case from inside if placed inside the top panel. You can change or customize the RGB lighting and effects using popular RGB softwares that include Asus Aura Sync, Gigabyte RGB Fusion, MSI RGB Mystic Light Sync, ASRock RGB LED Softwares etc. You can also daisy chain multiple strips together. It is very much affordable, and is a great addition to have for your RGB gaming PC with tempered glass side panels. Here we have RGB LED Strips from Phanteks, which is a popular hardware brand known for its high-quality PC cases and case fans. 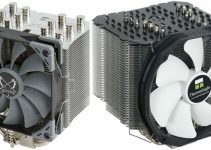 It also manufactures CPU cooler, power supplies and other PC accessories. This Phantek RGB LED strip comes in 400mm, 1 meter and 2-meter sizes and is very flexible. The RGB LEDs and magnets in this strip are enclosed in a sealed transparent silicone housing, which also makes it waterproof. The built-in with magnets that are decent enough to hold on, but they could have been stronger for better grip. You can also use the included 3M double sided tape to keep the LED strip firm and intact at its place. For connectivity, it comes with 4 pin (+12V,G,R,B) connector that goes on to the 4-pin RGB header of the motherboard or in a external RGB Controller. The RGB LEDs are bright with accurate colors and looks great when lit up. The RGB lighting or effects can be controlled using supported RGB softwares that include Asus Aura Sync, MSI Mystic Light Sync, Gigabyte RGB Fusion etc. Phanteks LED strips are currently compatible with the Enthoo Luxe, Luxe Tempered Glass, Mini XL, Evolv ATX TG, and Eclips P400/P400S and P400/P400S Tempered Glass Cases. These strips match the exterior LED strips on either case and will change all 10 different colors. However, you can also use them with other computer cases too. Also, these strips can be daisy chained together if you want to extend them to every part of your case. A standard RGB LED Strip from Deepcool that is 550mm long and comes with 12 RGB LEDs. The LED Strip uses 4-pin (+12V-G-R-B) connector, and for mounting it comes with built-in magnet and double-faced adhesive. The strip is covered by transparent Silicone material for protection, but the light coming out from the LEDs are not diffused, which is not in the case of white translucent material. The LEDs are bright and the colors looks vibrant. The strip is flexible that allows for better placement and makes it non-breakable too. The RGB Lighting can controlled or synchronized in combination with other DEEPCOOL/GAMER STORM brand 12V RGB devices, like coolers, fans, cases and hubs. It is compatible with any motherboard with 12V 4-pin RGB header and is compatible with RGB softwares like Supports Asus Aura Sync, MSI RGB Mystic Light Sync, Gigabyte RGB Fusion, ASRock Polychrome Sync etc. Also, it supports daisy chaining and you can combined multiple strips together. It comes in pack of two, and an extension cable and RGB extension cable comes bundled with it. These are one of the cheapest RGB LED Strips available that offers good performance, and also packs good build quality. A 12V RGB LED Strip from SilverStone that is 300mm long. The length of the strip may feel short to some users, but you can daisy chain two of them and extend the length. The strip is coated with some king of white translucent coating on it to diffuse light, so that the lighting looks uniform all through the strip. It comes with Built-in magnetic strip and adhesive tape for effortless installation. The RGB LED Strip contain 18 RGB LEDs which are pretty bright and colors also look vibrant. 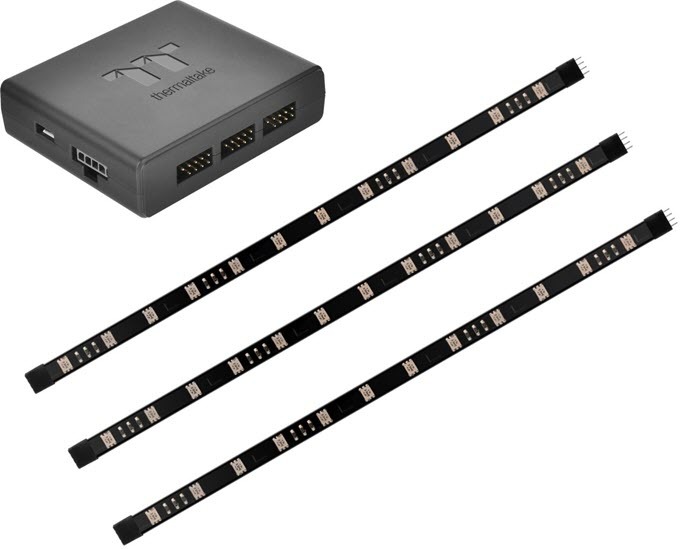 The RGB LED strip uses 4-pin RGB connector, and can be connected to any motherboard with 4-pin RGB header or a supported RGB LED control box. 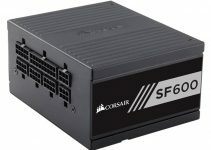 It is also compatible with wide range of RGB softwares that include Supports Asus Aura Sync, Gigabyte RGB Fusion, MSI RGB Mystic Light Sync, ASRock Polychrome Sync, SilverStone RGB, Biostar Racing. It is available in pack of two, and are pretty much affordable. Here are the best ARGB LED Strips for use in gaming PC. These RGB LED Strips exhibit fancy and complex RGB lighting effects, and looks stunning when lit up. An Addressable RGB LED Strip from Deepcool that is 550mm long, and comes with 12 Addressable RGB LEDs. The strip is very similar to the above mentioned 12V RGB LED Strip from Deepcool in dimension and design. The only difference is that it comes with 3-pin(+5V-D-G) connector, and 5V ARGB LEDs. The strip uses Magnet & Double-faced Adhesive for mounting / installation, and is enclosed in a transparent silicone material that does not diffuse light. The lighting on the strip is bright with vibrant looking colors. The strip is flexible in nature and it supports Asus Aura Sync, MSI RGB Mystic Light Sync, Gigabyte RGB Fusion, ASRock Polychrome Sync RGB softwares. You can also use it motherboard with 5-pin ARGB header, RGB LED controllers, and sync with other DEEPCOOL/GAMER STORM brand 5V ADD-RGB devices. It comes in pack of two, and an extension cable and RGB extension cable comes along with the package. Here we have 300m long Addressable RGB LED Strip from SilverStone. 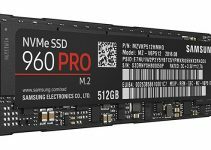 It comes with 12 ARGB LEDs and has got Built-in magnetic strip, and adhesive tape for super easy installation. This 5V ARGB strip uses the 3-pin(+5V-D-G) connector and is compatible with any motherboard having it. The LED lights on the strips are very bright and the colors looks nice too. The strip is flexible, and can be bent easily to fit around corners and in tight spaces. You can also daisy chain multiple strips for enhanced lighting. It also supports addressable RGB LED control box, and you can change and customize the lighting effects using the Asus Aura Sync, Gigabyte RGB Fusion, MSI RGB Mystic Light Sync, ASRock Polychrome Sync RGB softwares. It comes in pack of two, and is pretty inexpensive too. Here we have high quality RGB LED Strips from NZXT that are 30mm long. These are 5V ARGB LED strips that are only compatible with NZXT HUE 2 Lighting Controller, which you have to buy separately. The connector used here is 4-pin proprietary connector from NZXT, which only works with NZXT HUE 2 Lighting Controller. The LED strip is flexible and the lighting is vibrant and bright enough. The LED strip is waterproof with transparent silicone covering over it. The installation is done by use of built-in magnets, and you can also use double sided tape for extra grip. The various RGB lighting effects can be controlled by using the NZXT CAM software. You can also sync it with supported NZXT RGB Fans and other components, making the lighting look beautiful and in-order. It comes in pack of two, and can be daisy chained together for increasing length and thus lighting in your case. It is a great accessory for someone with NZXT case, but you can also use with other PC cases too using the NZXT RGB Controller. When it comes to RGB devices and components then Thermaltake is one of the best in the business. Here we have Thermaltake Pacific Lumi Plus LED Strip which is a premium quality Addressable RGB LED strip that contain 12 ARGB LEDs, and the strip has length of 300mm. The LED strip works only with Thermaltake Digital Lighting Controller that comes bundled with it. The controller is powered by molex connector and for RGB LED strips it uses 9-pin to 4-pin connector for ARGB LED strip. For connecting to motherboard, the controller uses 9-pin USB connector to micro-USB connector that goes into the controller box. The RGB lighting, brightness and various effects can be customized and controlled by using the Thermaltake TT RGB Plus software. The RGB LED Strip looks beautiful when lit up, and LEDs are bright, and showcase vibrant colors. The strip is flexbile, and features in-built magnets along with adhesive tape, which is quite strong for firm and easy installation. You can also daisy chain multiple strips together and can expand their coverage. The package includes three ARGB LED strips, Digital Lighting Controller and all the necessary cables for power and connectivity. Here are some cheap local and unbranded RGB LED Strips that are pretty good, and worth considering if they suit you. If you are an enthusiast and love to showcase your build in style then these RGB LED strips will definitely enhance the beauty of your build by making it look fancier and more beautiful. These RGB LED strips are pretty easy to install as all of them come with magnets, and if you need better grip then you can use the included double-sided tape. If you already have an RGB case with other RGB components then you cannot ignore this must have accessory. For any questions and doubts, please leave a comment below.